DO YOU DISLIKE YOUR DULL, DEHYDRATED, matte looking and WRINKLY SKIN? Change your life with this astounding new super glowing hydration booster that can help you get rid of all signs of aging skin fast! Introducing this life-changing, exciting discovery which has recently been announced by medical doctors after years of professional and research. Thanks to the latest scientific breakthrough and findings, the lifespan of our skin can now be extended with the help of medical science! HOW DOES THE SUPER GLOWING & HYDRATION BOOSTER WORK? LATEST DISCOVERY PROVES THAT the Super Glowing Hydration Booster IS THE KEY TO have better skin! THE NEWest VIRAL HYDRATIng treatment THAT ALL DERMATOLOGY MAVENS ARE RAVING ABOUT! You do not have to wait years or months to see results! You just have to wait 14 days to turn back 20 years on the clock. You will witness your skin’s natural levels of moisture and hydration being restored after the hydration booster supplies all the essential nourishing ingredients to your skin. Gain back that youthful and radiant look when this newest treatment helps you regain the production of new collagen and elastin as it gives rise to dewier and firmer skin! want super glowy and hydrated skin forever? here's your chance! Are Super Glowing Hydration Booster treatments painful? 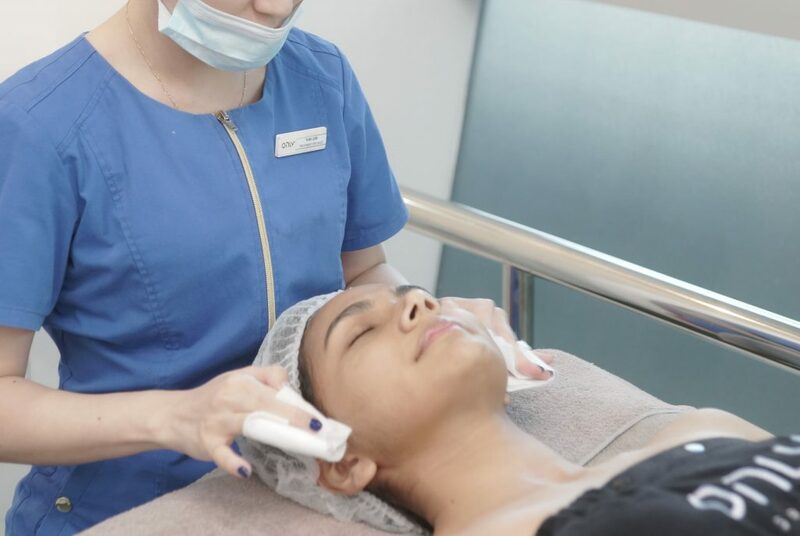 Numbing cream will be applied and the Super Glowing & Hydration Booster will be injected into the superficial layers of the skin of your chosen treatment areas. Then, receive a soothing face massage for better absorption into the skin. We recommend that you go for a Super Glowing & Hydration Booster once every month for optimum glowing and hydrated skin like no other! Are Super Glowing Hydration Booster treatments safe and are there any side effects? There are no side effects of Super Glowing & Hydration Booster. It is FDA-approved and safe for usage, especially in the skilled hands of our practised aestheticians and doctors! However, we recommend that you do not apply makeup for at least a day to ensure that there are no reactions between the booster and the ingredients in the makeup, as well as for healing purposes.